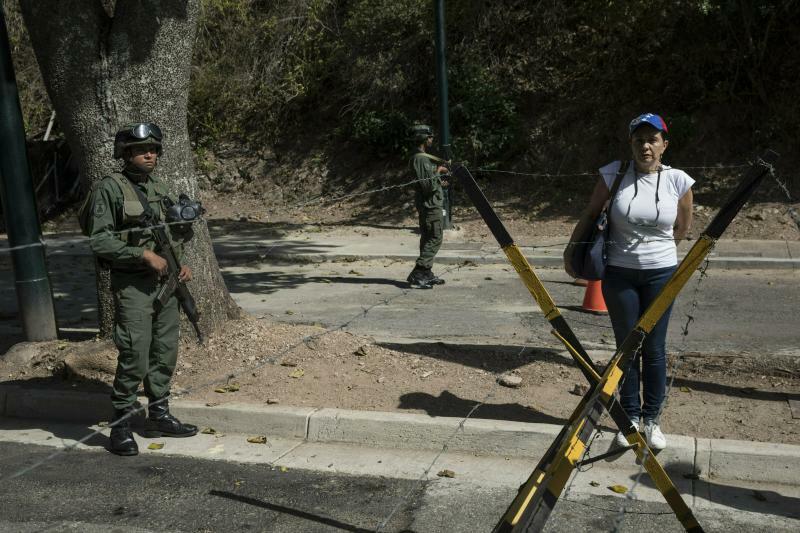 CARACAS, Venezuela (AP) — The struggle for control of Venezuela turned to the military Sunday, with supporters of opposition leader Juan Guaido handing leaflets to soldiers detailing a proposed amnesty law that would protect them for helping overthrow President Nicolas Maduro. "No, my commander-in-chief," they shouted in unison, and Maduro responded: "We're ready to defend our homeland — under any circumstance." The tumult erupted when Guaido, the 35-year-old leader of Venezuela's opposition-controlled congress, declared before masses of supporters last week that he has temporarily assumed presidential powers, vowing to hold free elections and end Maduro's dictatorship. Associated Press writer Manuel Rueda contributed to this report.